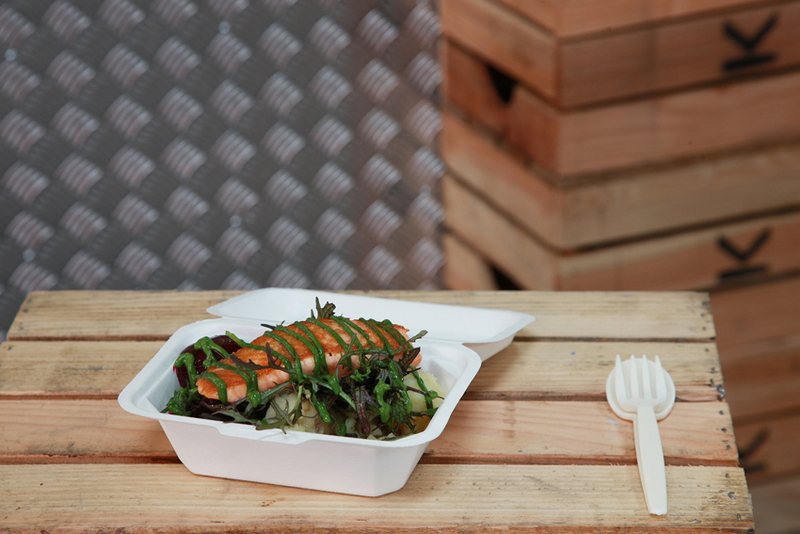 Street Kitchen was the first pop-up resident within the TESTBED1® hub. From their beginnings as an Airstream caravan kitchen; together with Will Alsop and aLL Design, they designed and installed a large commercial kitchen at the Battersea site, geared to serving hundreds of lunches each day. With expanded facilities, lunches could be loaded into the vehicles and transported into central London. 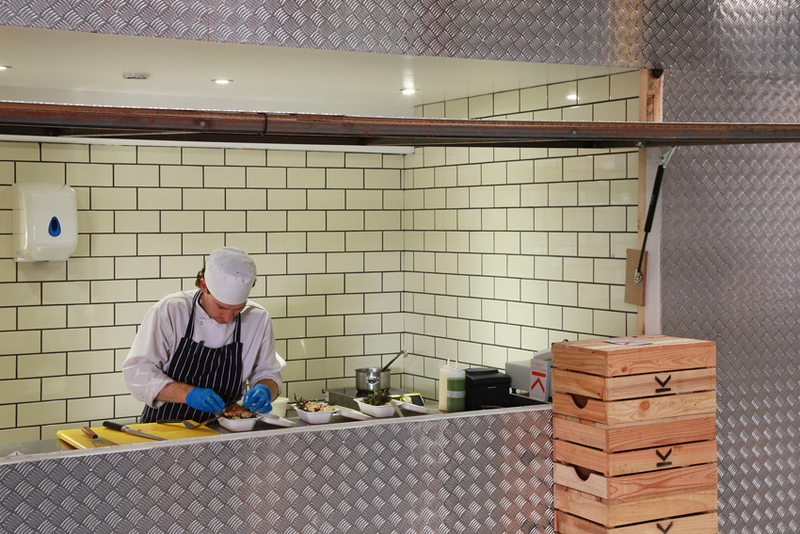 Clad in chequer-plate aluminium, the Street Kitchen hatch pivoted open at lunchtimes and became a popular offer to the community. 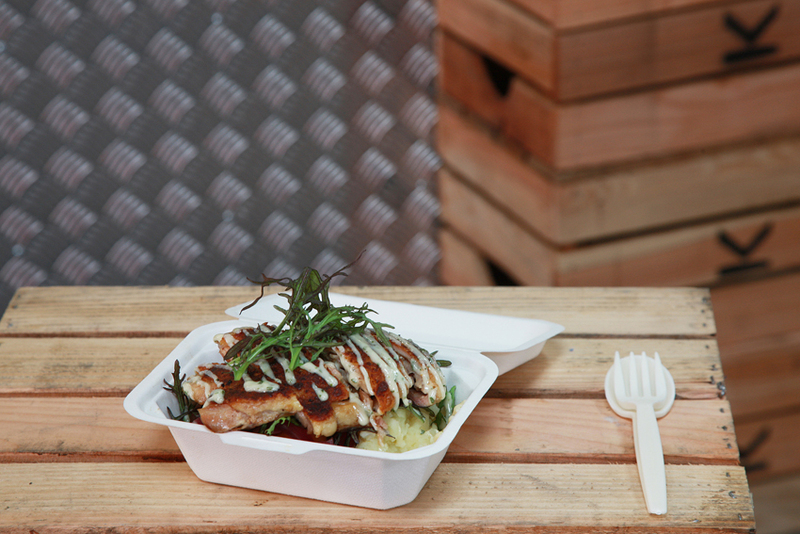 The team served simple and healthy bistro style take-away dishes that were unique to the area’s dining options. Customers could use the TESTBED1® courtyard to dine with drink from the Doodle Bar, they were also free to visit the latest exhibition or observe the varied goings-on about the place.